Description: Cherry Valley Lodge is a business categorized under hotels & motels, which is part of the larger category hotels & motels. 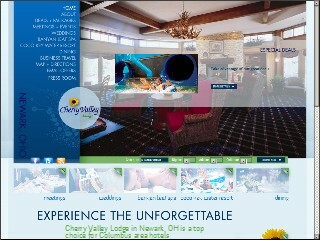 Cherry Valley Lodge is located at the address 2299 Cherry Valley Rd SE in Newark, Ohio 43055-9393. The Partner is Stephen Larsen who can be contacted at (740)788-1200. Location & access map for "Cherry Valley Lodge"